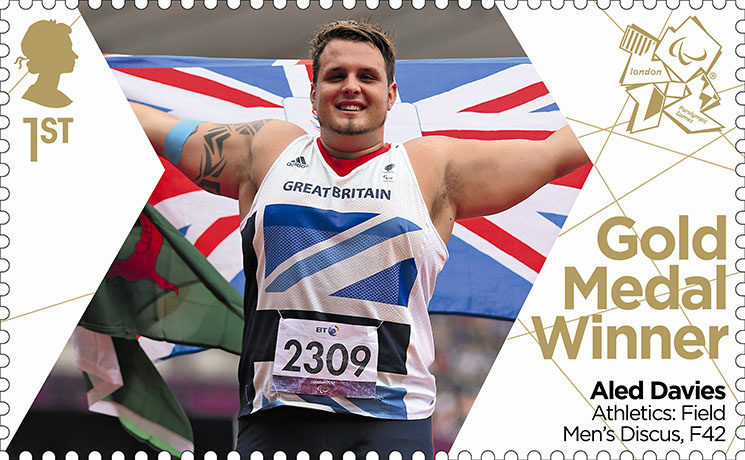 Gold Medal Stamps: Another major print error, this time on Paralympic sheet E.
This error occurs on the PGMWE1 stamp - Rowing: Mixed Coxed Four LTAMix4+ issued on 4 September. 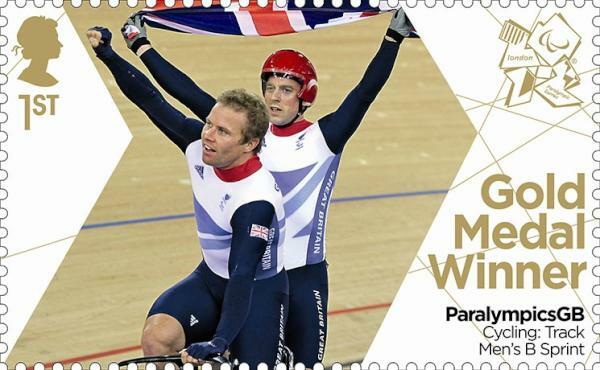 As you can see, this single used stamp sold for £65+ on eBay. I wonder if there are any more out there in kiloware sacks? This is the mint item referred to in the comments below. This sold for only £27, which seems odd, but it depends on who saw it at the time. Although the images look similar, the perforation runs across the legs just above the knees - compare the sky next to the Queen's head. The overprinting - the design and caption - is shifted vertically resulting in the black overlaying the original gold caption, and the head and arm are above the level of the perforations. 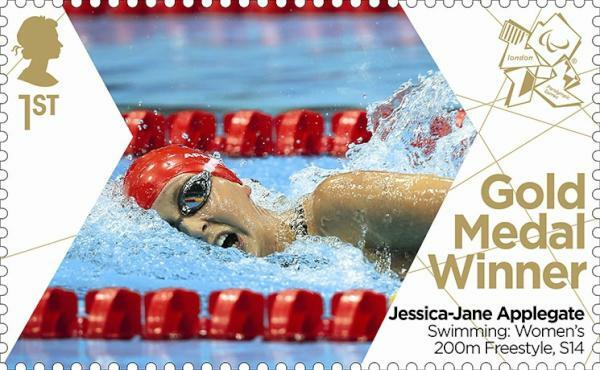 We've been told about a sheet of Gold Medal stamps with duplicate printing of the black, but if the design and caption were printed in one pass of the press, the picture should be doubled as well. We're waiting for a picture!